Central Pizza joined our Mission to help provide access to “Clean Water for All by 2030”. This Mission was initiated by the United Nations. A big thank you to Central Pizza’s team and customers for joining this extremely important mission on 02 February 2018. Central Pizza is a food lover’s emporium designed to suit the pizza needs of the growing local community of Sydney. Inspiration for the store has been taken from traditional cooking styles infused with new and exciting flavours, using quality and fresh ingredients. This superbly designed store, modelled with a fast food backbone, has gourmet freshness to offer for everyone. 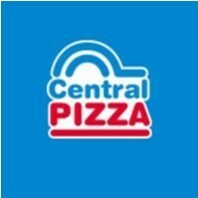 Open every day, Central Pizza offers authentic style pizzas at value prices. The extensive pizza menu consisting of a value, traditional and gourmet range is complimented by classic sides and a sweet dessert list. Fresh dough is hand made every day for that gourmet taste. The store seats a handful of patrons and delivers efficiently within a 10km radius.